The Haub School of Business does not offer a daytime MBA program and instead maintains a Professional MBA program for which candidates do not need work experience to apply. The fall and spring semesters are each 16 weeks long, and classes meet once a week from 6:30 p.m. to 9:10 p.m. The summer semester consists of two, eight-week sessions, and classes convene twice weekly from 6:30 p.m. to 9:45 p.m. Online classes meet for eight weeks, and chat session times vary in length and frequency. Those enrolled in the online program are welcome to take courses on campus, while those enrolled on campus can apply for online courses on a space-available basis. Students finish the program at their own pace and do not need to enroll each semester so long as they complete their degree within six years. Students using online courses can complete the program in just one year. There are currently 421 students enrolled in the HSB part-time MBA program, with 40.4 percent female students, 36.1 percent international students, and 13.5 percent minority students. These students, on average, are 29-years old and enroll with an undergraduate GPA of 3.21. The average GMAT of entrants was 502, and the average previous work experience was 6.6 years. HSB’s Career Development Center sponsors a number of on-campus recruiting events and personal appointments. The school also maintains relationships with businesses in the Philadelphia area and states that on average, students who remain employed while enrolled in the MBA program receive two promotions. The Saint Joseph’s Professional MBA costs $1,043 per credit for 2018-2019, totaling $55,279 if no foundation courses can be waived. HSB offers merit scholarships each semester to outstanding students applying to the Professional MBA Program. The scholarships are based on undergraduate records and GMAT scores. All applicants are considered, and potential recipients are contacted during the application process. Award amounts vary, but they are typically between $2,000 and $4,000 and last for one year only. Merit Scholars must maintain a 3.0 GPA in the MBA Program in order to retain their award and receive additional networking opportunities and access to lectures by noteworthy guest speakers. The school also offers Graduate Assistantships, in which highly qualified students conduct research for a specific academic department for approximately 16 hours per week. Graduate Assistants must maintain a GPA of 3.0. 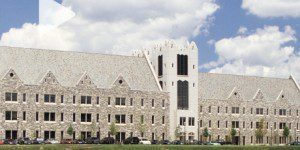 The Saint Joseph’s Professional MBA requires international students to receive a minimum score of 80 on the TOEFL, iBT, or 550 on the written TOEFL, a 6.5 overall on the IELTS, or a 60 on the PTE. Applicants must submit official transcripts for all credits earned during undergraduate and graduate programs; two letters of recommendation; a résumé; a $35 application fee; and a personal statement that in 250 to 500 words covers applicant’s career objectives, reasons for seeking admission to the Saint Joseph’s Professional MBA, and any other additional information. Official GMAT or GRE scores from tests taken within the last seven years are also required. However, a GMAT waiver is available for the program.